God sends the Holy Spirit to dwell within us, giving us the energy, intelligence, imagination, and love to be Christ’s faithful disciples in the world. We have a strong sense of community with parishioners. People and children of all ages here are encouraged to learn about their own faith and the role of the church in our community and worldwide. We will carefully select, support and train all those with any responsibility within The HolyCross Church. 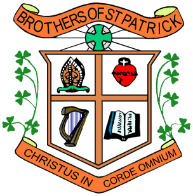 Copyright 2018 Brothers of St. Patrick. All Rights Reserved.